Presented by John Towsley, Co-Founder of Thought Rock. 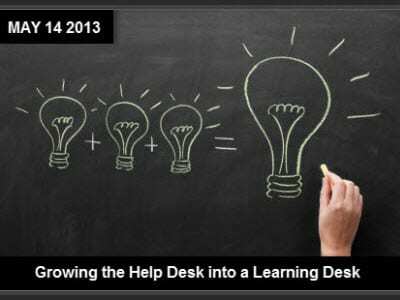 Help desk to service desk to learning desk. Performance Support tools have come a long way in evolving the help desk into an resource rich learning desk. This 45 minute session led by Thought Rock Co-Founder John Towsley, will explore how Performance Support tools can help you drive down your call volumes and increase user self-sufficiency.